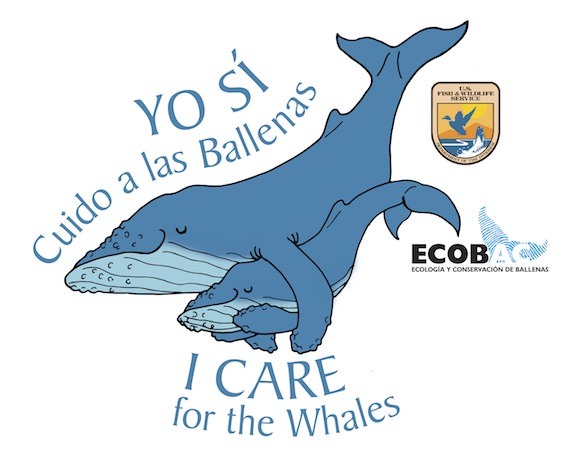 Ecología y Conservación de Ballenas, Ecology and Conservation of Whales (ECOBAC), is a Mexican non-profit organization, devoted mainly to research, protection and conservation of Mexico’s natural resources, specially the Humpback Whale in Banderas Bay. 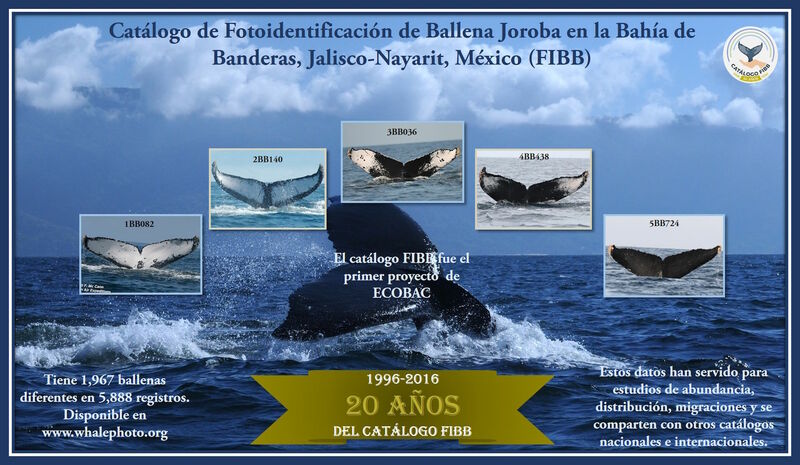 Encourage marine mammal research projects in the coasts of Jalisco and Nayarit, a very important area for the conservation of species since it´s the entrance to the Sea of Cortes. Promote the exchange of knowledge and information in order to benefit the conservation and protection of wildlife. Encourage protection, conservation and information actions for the sustainable management of natural resources, especially cetaceans and their habitat. Create a wildlife conservation, information and research center. Promote the training of specialized ecotourism guides with courses, scholarships and workshops in order to encourage sustainable development and the conservation of wildlife. Mexican biologist that received her degree from the National University of Mexico (UNAM). She has been able to combine her passion for whales and research with her job as naturalist guide and operations manager in Ecotours de Mexico. 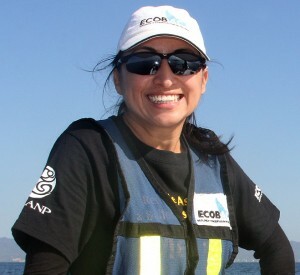 She is the head researcher of Ecobac´s Humpback whale research projects. She has participated in marine mammal surveys in the North Atlantic and the Mexican Pacific. 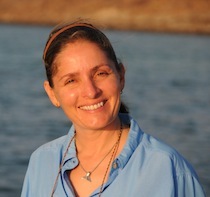 Representative of Banderas Bay in 2003 and Representative of the Whale watching Committee at the Mexican Society for the Study of Marine Mammals (SOMEMMA). Representative of whale watching tour operators at the Whale Watching Standing Group of the International Whaling Comission (2012-2014). Karel is a pioneer of ecotourism in Mexico, he is a cofounder and former president of the Mexican Association of Ecotourism and Adventure Travel (AMTAVE). 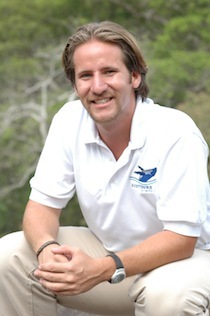 He is also founder and managing director of Ecotours de Mexico, a nature tour operator. His lifelong love of nature and his interest in ecotourism has lead him to travel and lead trips all over Mexico. In 2006 he got his masters degree in sustainable development and tourism, his research topic was “Whale Watching in Banderas Bay as a Sustainable Tourist Activity”. Iyari studied Marine Biologist at the Technological Institute of Banderas Bay and a Master in Coastal Oceanography at the Autonomous University of Baja California. Always focused and engaged in the study of marine mammals mainly humpback whales, actively involved in research and conservation projects carried out in the Bay since she was studying. 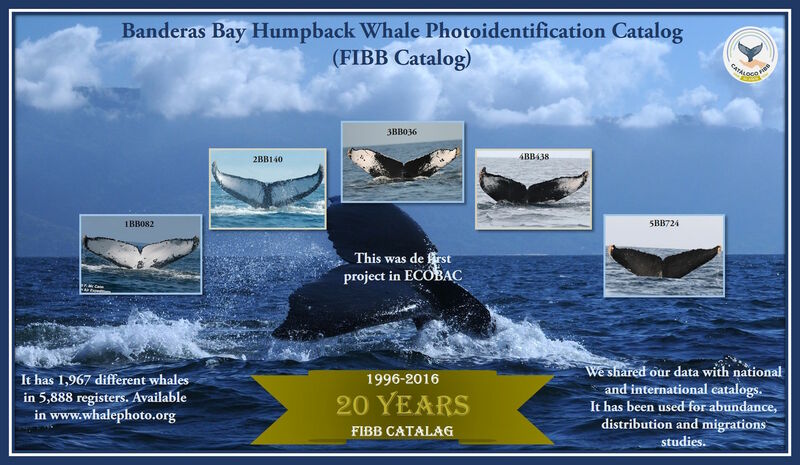 Since 2012 is the general manager of ECOBAC, and collaborates on proyects of environmental education and research as the Humpback Whale (Megaptera novaeangliae) Photo-identification Catalog, in Banderas Bay and Isabel Island National Park. Also is member of the National Whale Disentaglement Network (RABEN) and is part of the national coordination of RABEN. Roberto got his marine biology degree from the University of Baja California Sur (UABCS). From 1985 to 1997 he collaborated with the National Ecology Institute on the Marine Mammal Research and Conservation Project. Since 2000 he works as research professor at the Banderas Bay Technological Institute, where he founded the Marine Mammal Research Group (GRIMMA), that monitors the different cetacean populations in the area. Born and raised in Mexico City, Fernando moved to Puerto Vallarta in 1999 to study marine biology and pursue his love of nature. 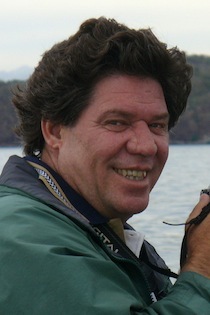 His thesis, “Richness, Distribution and Taxonomy of the Kogiidea and Zifhidae families in Banderas Bay” was the first work done in the area with this species. He works as a naturalist guide leading trips oriented to conservation and protection of wildlife. Since 2004 he participates with ECOBAC as research assistant. 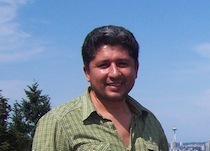 Pedro has a Marine Biology PhD by the University of North Carolina and he is currently professor at the University of Guadalajara, Campus Puerto Vallarta. 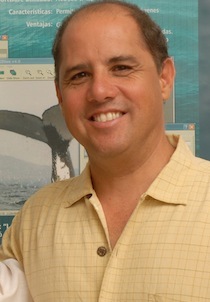 Most of his research projects involve marine biology studies in the Mexican Pacific, most particularly Banderas Bay, and the Jalisco and Nayarit coast. His coral reef research studies involve the biology and ecology of marine organisms with the purpose of improving coral reef protection through conservation activities and programs in National Parks. Alejandro got his architecture degree from the Iberoamericana University (UIA) in Mexico City. He works building houses with the use of green alternatives, like water recycling, gathering and use of rainfall and use of alternative energy resources, in order to impact the environment as little as possible. A wildlife lover, he participates actively in different conservation projects. Frank established in Puerto Vallarta in 2004 and impressed with the richness of the local fauna he began creating photographic archives. Since then he has been collaborating with different organizations such as Reptilario Cipactli Cento Universitario de la Costa U de G, Municipality of Puerto Vallarta Division of Environment and Ecology, Estero El Salado Trust, Conservation and Sustainable Use of Cocodyla in Mexico (COMACROM), Puerto Vallarta Tourism Trust, Western Ecological Society, Group of Ecology and Conservation of Islands A.C., and Naturalia A.C. magazine “Species”, among others. Since 2006 he collaborates with ECOBAC in research and environmental education projects. 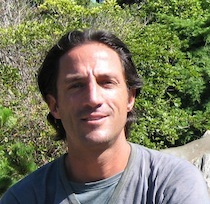 Fabio studied at the Autonomous University of Baja California in Ensenada, were he received his college and masters degree in Oceanology. We has a PhD in Sustainable Development by the University of Guadalajara. 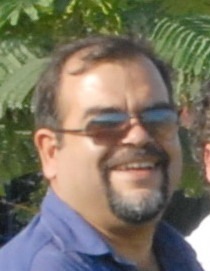 Since 1992 he works as professor and researcher at the Coastal University Center of the University of Guadalajara, campus Puerto Vallarta and he´s chair of Arthropods, Taxonomy and Biosistematics. He does research projects with crocodiles, acuatic birds and different groups of invertebrates. One of his favorite activities is the diffusion of science in printed media. He received the “University-Society Link (Science Diffussion) 2003” and “Puerto Vallarta: Ecology 2005” awards. He has published 6 books, among which “The Terrible Corcodiles?” wrote in collaboration with Dr. Juan Luis Cifuentes and edited in 2004 by Fondo de Cultura Economica en its collection Science for all, stands out. He is member of the National Researchers System, Level I.